In the eternal battle to drive more details out of AMD ahead of the full launch of its new Zen microarchitecture based CPUs, today AMD is lifting the lid on some new features in order to whet the appetite (and appease the hype-train, perhaps) and that will be part of the product launch. We now have new details on the brand naming, some platform details, and a high-level overview of what will be the key points being promoted when it comes to market. We’ve covered a lot of Zen, from the initial announcement to some of the microarchitecture details at Hot Chips through to discussing the utility of singular benchmark data and then what might be happening on the server side through a detailed analysis of motherboards on display. 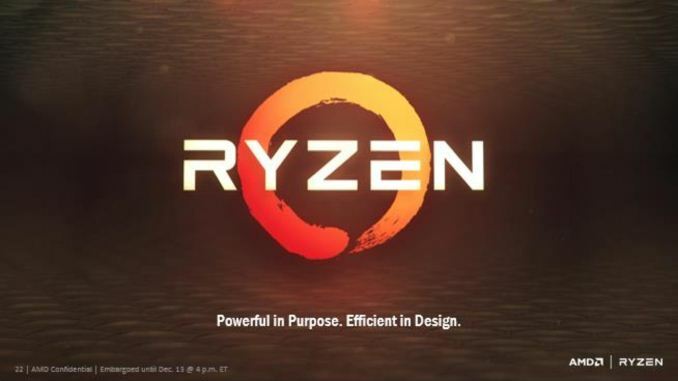 A lot of us want it out already, and when it does, it will come out under the brand ‘Ryzen’. It is pronounced ‘Rye-zen’, not ‘Riz-zen’, to clarify. As expected, there will be several SKUs in the brand, although AMD is not releasing many details aside from the cache arrangement of the 8-core, thread chip (which we already knew was 4MB of L2 + [8+8] MB of L3 victim-cache), and that the base clock for the high-end SKU will be at least 3.4+ GHz. The fact that AMD says ‘at least’ dictates that they are still deciding exactly what to do here, although a similar thing was said leading up to the launch of Polaris-based RX cards (though that’s a different department). 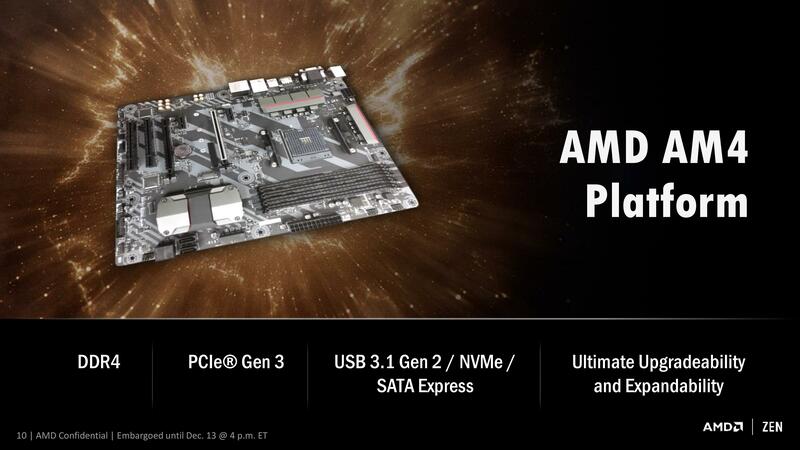 We know that Ryzen will use the AM4 platform, shared with the previous generation Bristol Ridge which remains an OEM-only product for now. We’ve gone into detail about how AM4 will operate, using a split IO design between the CPU and the chipset such that for minimal function, a chipset is not needed, however AMD has pointed out that with Ryzen, AM4 with the right chipset will support USB 3.1 Gen 2 (10 Gbps), NVMe SSDs, SATA-Express, and offer ‘ultimate upgradability’. The latter point may give an indication to the Ryzen based chipsets might offer numerous PCIe lanes, similar to what Intel does on the 100-series. That said, Intel has been developing that feature over years, and the Bristol Ridge chipsets for AM4 that have been announced already are not quite up to par with that, so it will be interesting to see. We’re still waiting for detailed information on PCIe lane counts on Ryzen, how big that micro-op cache is in the core, if the L3 victim cache has limitations, how good the DDR4 controller is, power consumption, and what exactly the single core performance / IPC level is. Actually AMD did go into more detail with a few of these areas as well. Part of the demo in the pre-brief was a Handbrake video transcode, a multithreaded test, showing a near-identical completion time between a high-frequency Ryzen without turbo compared to an i7-6900K at similar frequencies. This mirrors the Blender test we saw back in August, although using a new benchmark this time but still multi-threaded. AMD also fired up some power meters, showing that Ryzen power consumption in this test was a few watts lower than the Intel part, implying that AMD is meeting its targets for power, performance and as a result, efficiency. The 40%+ improvement in IPC/efficiency is still being thrown around, and AMD seems confident that this target has been surpassed. To that extent, at the pre-briefing, Ryan was shown two systems running Titan X graphics cards in SLI and Battlefield 1 at 4K settings - one system was running Ryzen, and the other an i7-6900K (the 8-core Broadwell-E chip). Ryan was unable to determine an obvious visual difference between the two frame-rate wise, which was the point of the demo. 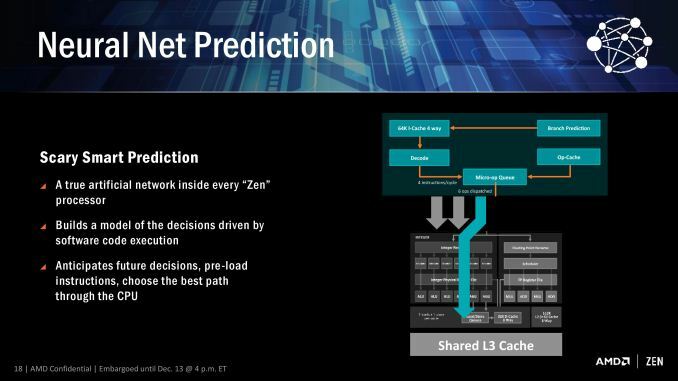 Mark Papermaster, CTO of AMD, explained during our briefing that during the Zen design stages, up to 300 engineers were working on the core engine with an aggressive mantra of higher IPC for no power gain. This is not an uncommon strategy for core designs. 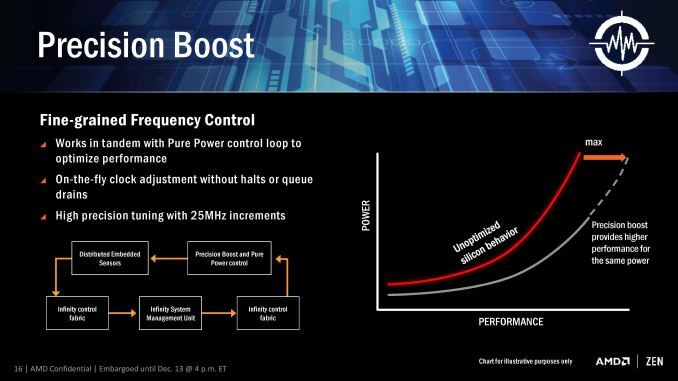 Part of this will be down to two new power modes, that adjust and extend the power/frequency curve, which are part of AMD’s new 5-stage ‘SenseMI’ technology. A number of recent microprocessor launches have revolved around silicon-optimized power profiles. We are now removed from the ‘one DVFS curve fits all’ application for high-end silicon, and AMD’s solution in Ryzen will be called Pure Power. The short explanation is that using distributed embedded sensors in the design (first introduced in bulk with Carrizo) that monitor temperature, speed and voltage, and the control center can manage the power consumption in real time. The glue behind this technology comes in form of AMD’s new ‘Infinity Fabric’. The upshot of Pure Power is that the DVFS curve is lower and more optimized for a given piece of silicon than a generic DVFS curve, which results in giving lower power at various/all levels of performance. 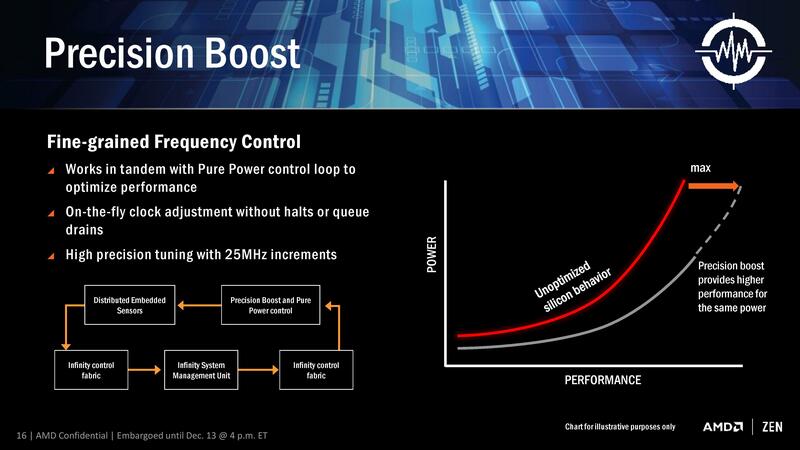 This in turn benefits the next part of SenseMI, Precision Boost. Precision Boost only applies to internal clocks that the user doesn’t see or control, but can assist with performance. Without additional information, the second point in that list seems more in line with what would be possible. 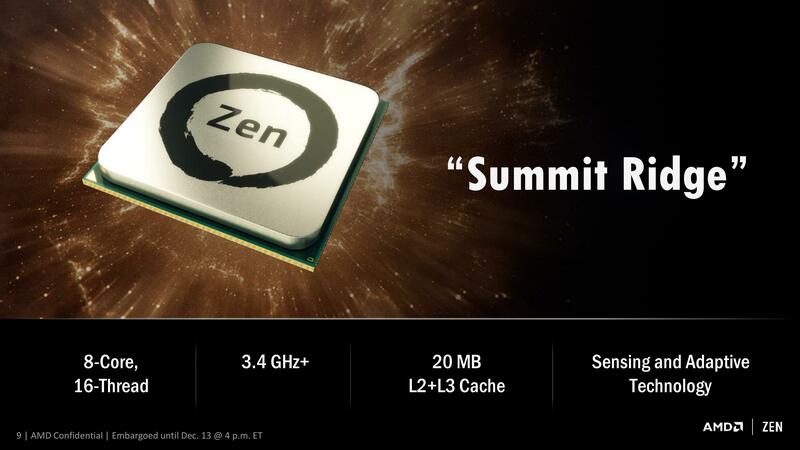 If we consider that Zen’s original chief designer was Jim Keller (and his team), known for a number of older generation of AMD processors, a similar technology might be in play here. If/when we get more information on it, we will let you know. I imagine that a manual overclock will still be king, especially for extreme overclockers competing with liquid nitrogen, as being able to personally fine tune a system might be better than letting the system do it itself. It can especially be true in those circumstances, as sensors on hardware can fail, report the wrong temperature, or may only be calibrated within a certain range. Today, AMD is putting on a Livestream called ‘New Horizon’, where all this information is being formally released. I’m at the event live, hopefully running a live blog, and I will try to get some extra time with an engineer that walks by and wants to chat. 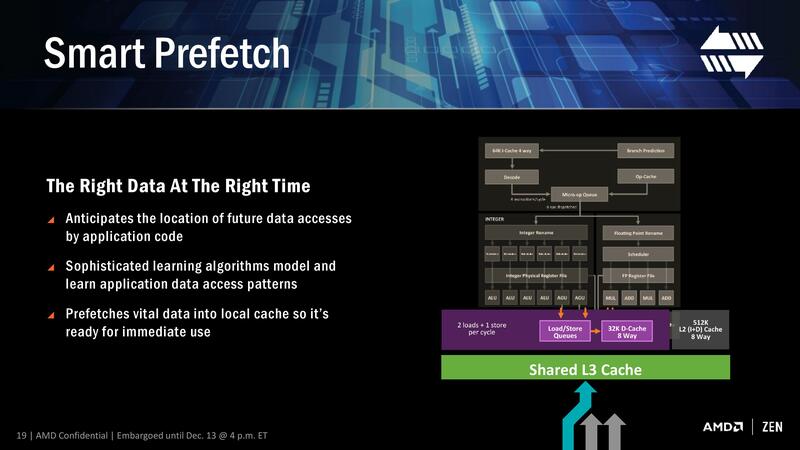 I want to get more information on the Infinity Fabric, the Neural Net Predictor and chipset integration. As a 6900K owner I am not sure that I care about the wattage. This is a part for my home PC, not servers. Performance, and the cost of that performance, is where Zen needs to shine to compete with the 6900k, or lets be realistic the 7900k. Which so far looks good. While TDP does relate to power consumption, it is not a unit of power consumption but rather of power dissipation as heat. oh lord...in rx 480 vs 1060 ti debates i had on reddit, you wouldn't BELIEVE the amount of people who would act like the 1060's slightly lower power draw (efficiency!) was the end all be all! Just funny to see the arguments reversed here. People would hold their nose and exaggerate "oh, the 1060 Ti is 500% more efficient than the 480, what is wrong with AMD!" I'd be like no, it's a few watts, who cares? 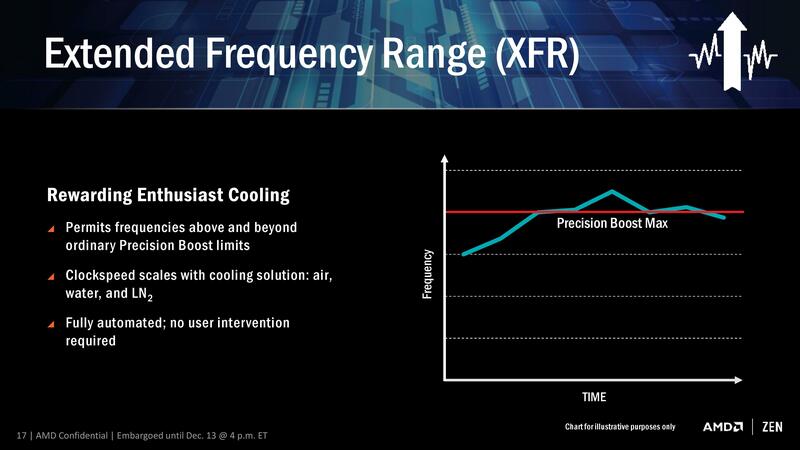 And what matters (within reason, you dont want a space heater like the FX 9590 chips) is price and performance! I mean literally people would act like "efficiency" was FAR more important than raw power or price. Just because Nvida happened to have a current, small, advantage there!